After adding to his reign as the most decorated Olympian ever, crushing a 2,168-year-old Olympics record, and even introducing the world to cupping, Michael Phelps performed the glorious ending to his legendary career at the Summer Olympics in Rio. The 31-year-old swimming great stood atop the Olympics podium for the last time on Saturday night, having won his 23rd -- and final -- gold medal as part of the US men's 4x100-meter medley relay team. Phelps was visibly emotional as he turned to the roaring crowd, which included his fiancé, Nicole Johnson, their son, Boomer, and his mother, Debbie. The moment marked what he insists was the last competitive swimming event of his career, as he explains in NBC Sports' post-race interview. "I'm just ready for something different," he said. "My swimming career might be over, but I have the future ahead of me to kind of turn the page and start whatever I want... It's not the end of a career, it's the beginning of a new journey." He also reiterated his retirement plans during a Facebook Live video in the hours before Saturday night's race, saying, "Go for 30 medals in Tokyo? I don't think so, boys and girls. This is over, this is it. Tonight's the last one and wild to think about. Twenty-four years in the sport and we're finishing up tonight." All said, Phelps swims into the sunset with a total of 28 Olympic medals -- 23 gold, three silver, and two bronze. He earned 13 of those gold medals in individual events, breaking the previous record of 12 held by an ancient Greek athlete named Leonidas of Rhodes. For additional perspective, a report by NPR points out that out of the 205 countries currently competing in Rio, Phelps has more gold medals than all but 32 of them. Damn. 23 Golds. 28 total medals. One incredible career. 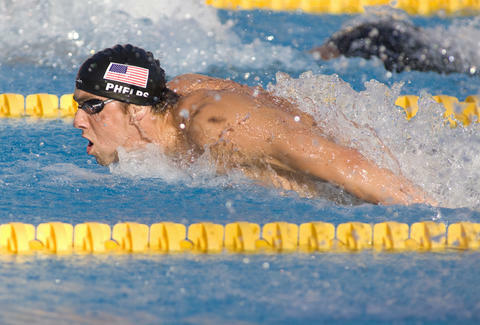 Hard work, focus, and a dream—that’s the spirit of @MichaelPhelps. Tonight, we congratulate him and all of @TeamUSA on making history. Congratulations @MichaelPhelps on a phenomenal career. Baltimore loves you. So far, it's unclear exactly what Phelps will do in his new life outside the pool, but his longtime coach, Bob Bowman, told USA Today he'll likely devote more energy toward his foundation and perhaps coach young swimmers. “I’m retiring, but I’m not done done with swimming," Phelps said, per the report. "This is just the start of something new." Tony Merevick is Cities News Editor at Thrillist and wishes he was as good at something as Michael Phelps is at swimming. Send news tips to news@thrillist.com and follow him on Twitter @tonymerevick.